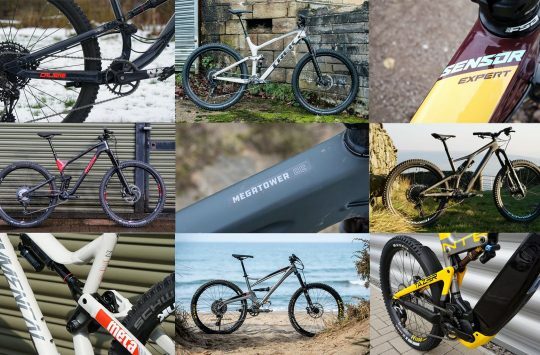 Alpkit’s Sonder bike brand has been shaking up the cycling market for a few years now with good quality bikes, at attractive prices. 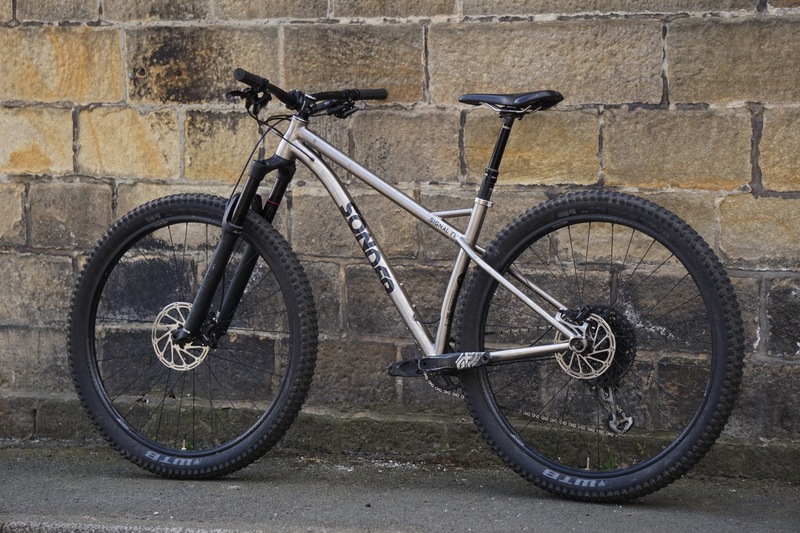 We’ve ridden a few of Sonder’s bikes including the Transmitter, the Evol, and that 29er Protobike. 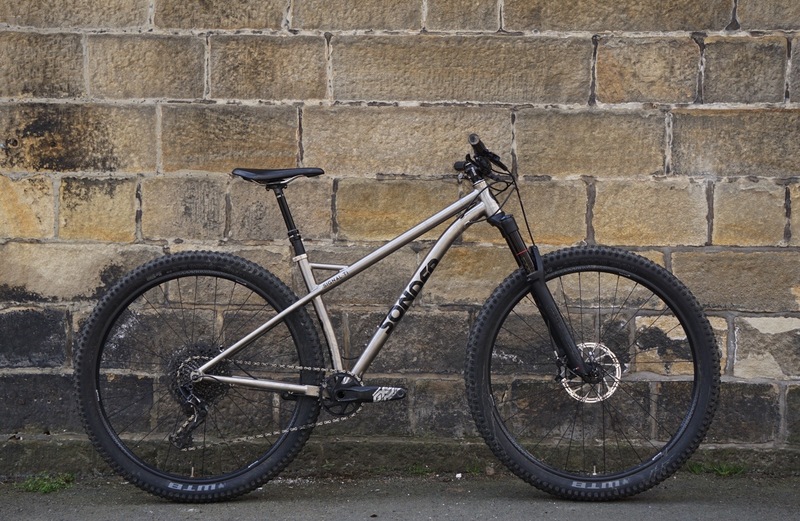 Today we bring you another first look this time in the shape of the Sonder Signal Ti, an all-new 29er hardtail that’s available for pre-order on the Alpkit site right now. Designed in the UK for aggressive riding. Sonder’s new Signal Ti. 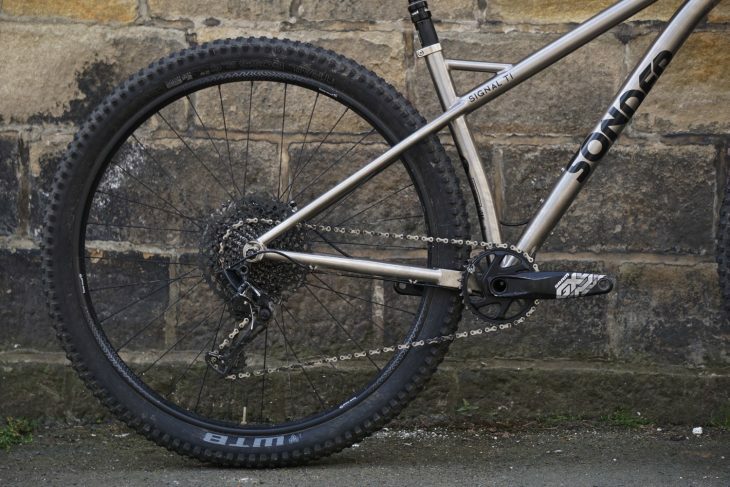 Neil Sutton from Sonder Bikes tells us that he’s designed the Signal Ti to be a fast and efficient hardtail, which supposedly climbs like an XC bike yet retains the descending prowess of a full-on enduro bike. Versatility is the keyword here, with the Signal Ti pitched to tackle anything from manicured trail centres to rough and ready natural terrain. Plenty of tyre clearance even with 2.6in tyres. To achieve this, Neil from Sonder has designed the Signal Ti around a 29in wheelset with clearance for up to 2.6in tyres with room spare to keep mud and grime from building up – an important detail for us in the UK. Not super long, or slack, but super playful. Those large wheels are attached to a unique-to-Sonder frame that’s manufactured from 3Al 2.5V Aeronautical grade titanium tubing with a low standover, a low stack height, and a long wheelbase. However, we’re not looking at radical geometry here. Compared to some other bikes, the reach on the Signal Ti is a little on the shorter side, but given the low standover clearance and the short seat tube, Sonder has created a frame that can easily be sized up if you so choose. Different length chainstays depending on frame size is a neat feature. 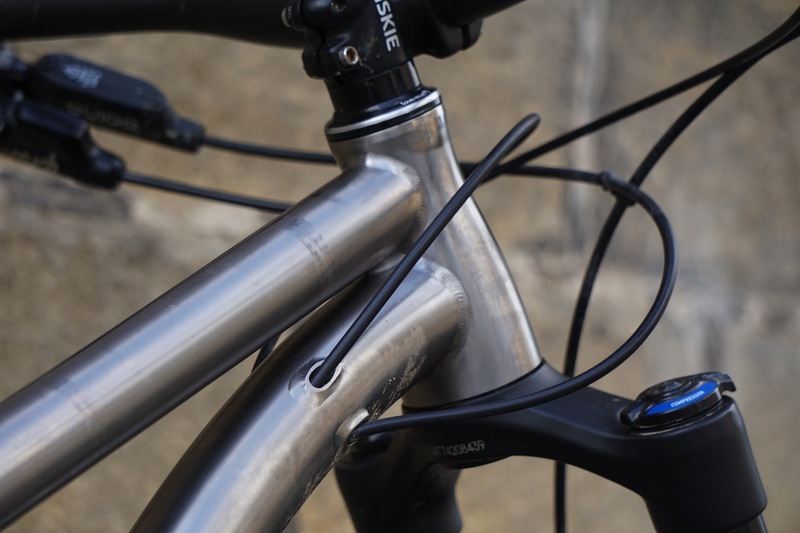 What’s very interesting is that the Signal Ti’s chainstay length actually gets longer on larger model bikes. 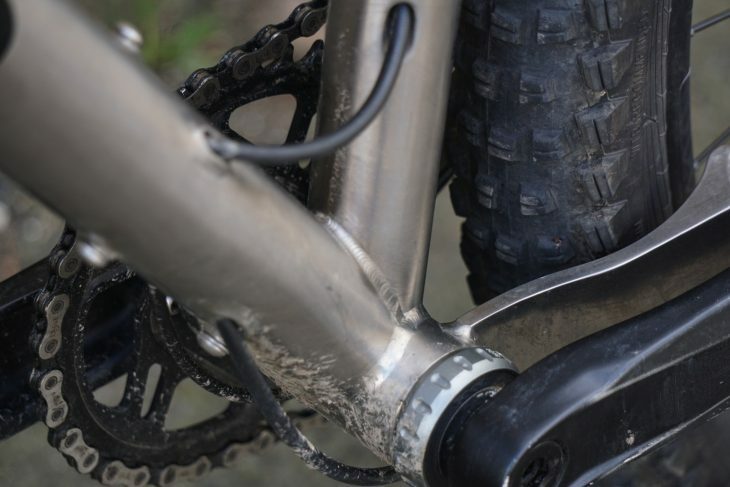 Small and medium bikes have 425mm chainstays, large frames have 430mm while the XL gets 435mm chainstays. Sonder says this has been done to ensure a playful and balanced ride for riders of all heights. Is there anything that looks as good as a clean Ti frame? 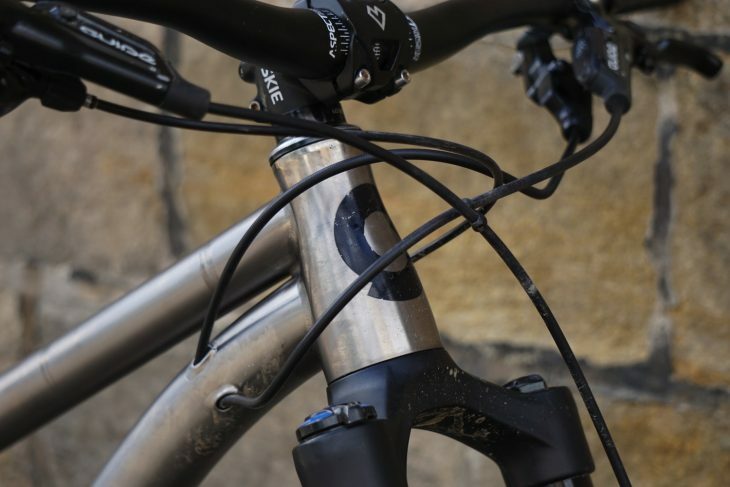 Titanium was chosen to give the Signal a degree of trail dampening while allowing enough stiffness to be built in around the bottom bracket/chainstay area for efficient pedaling and acceleration. 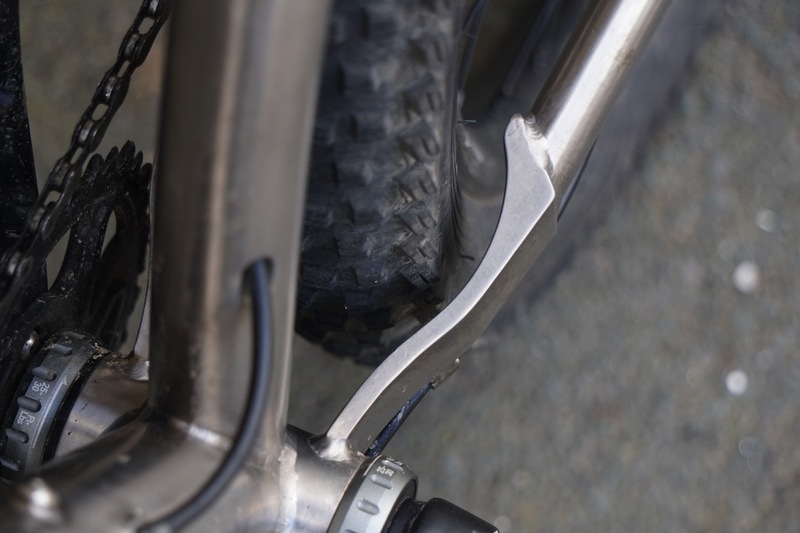 The bike we got to see today is a pre-production sample and final production frames will actually have additional bracing behind the BB to beef things up even more. Sonder sticks with a threaded BB. 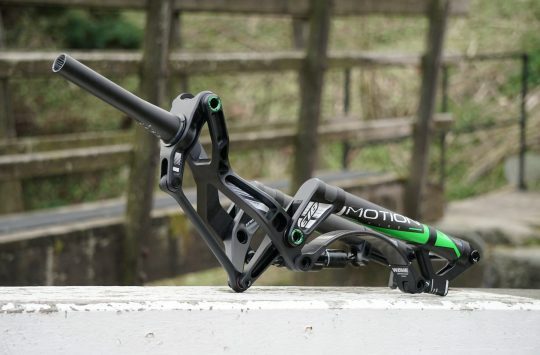 A low BB height combined with 66° head angle and low stack sound just like details you want from a bike when hitting steep, off-camber berms and fast flowing terrain, and as far as our short ride today goes, the numbers are bang on. 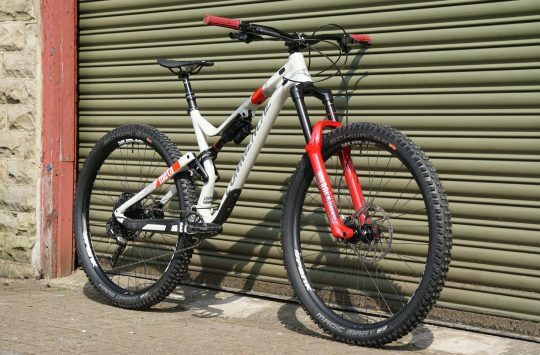 We do intend to get a longterm review bike in soon though so watch out for our full review after a longer period with the bike. Internal hose guides will make custom builds a breeze. 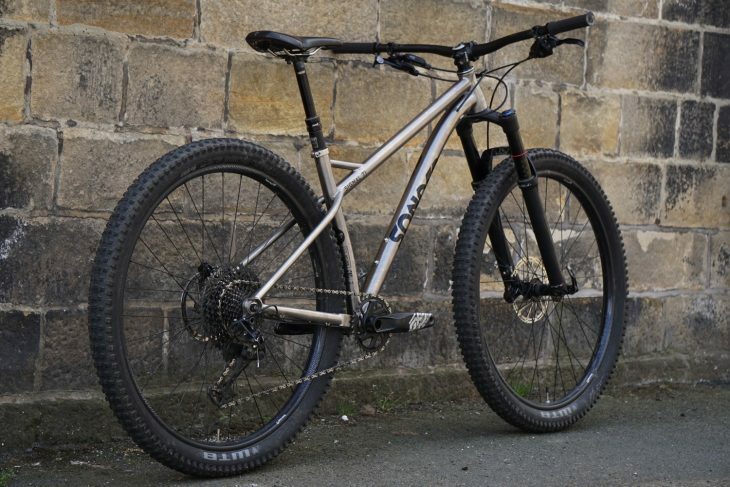 Sonder is selling the Signal Ti either has a frame only or in various complete bike packages. 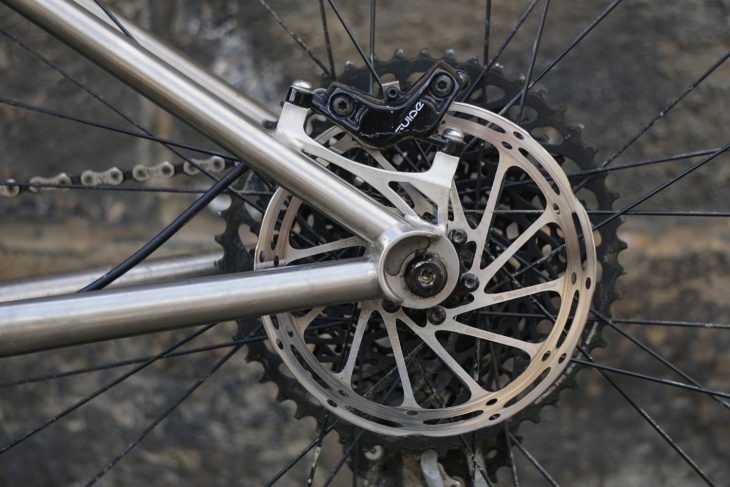 For those choosing the £999 frame-only option and wanting to build the Signal Ti at home, you’ll be happy to know that the internal routing for brakes and gears is tubed, so no need to faff about with magnets and wires. NX build with Revelation costs £1899. A complete Signal Ti build with SRAM NX and a 130mm travel Rockshox Revelation costs £1899, the same bike with SRAM GX Eagle 1×12 is listed at £2399 while a GX Eagle and Pike combination will cost £2599. I agree – looks lovely! Maybe I’ve missed it but does it say anywhere here or on the Alpkit site what travel forks it’s based on? what is an off-camber berm?